This time of year, when strolling in the forest, you see an abundance of green coloured leaves around you. Some leaves have fallen down already and have changed colour into beautiful yellows and browns on the ground. On the edges of the branches, hidden between the oak leaves, you can see the first signs of Autumn, little acorns are starting to form. 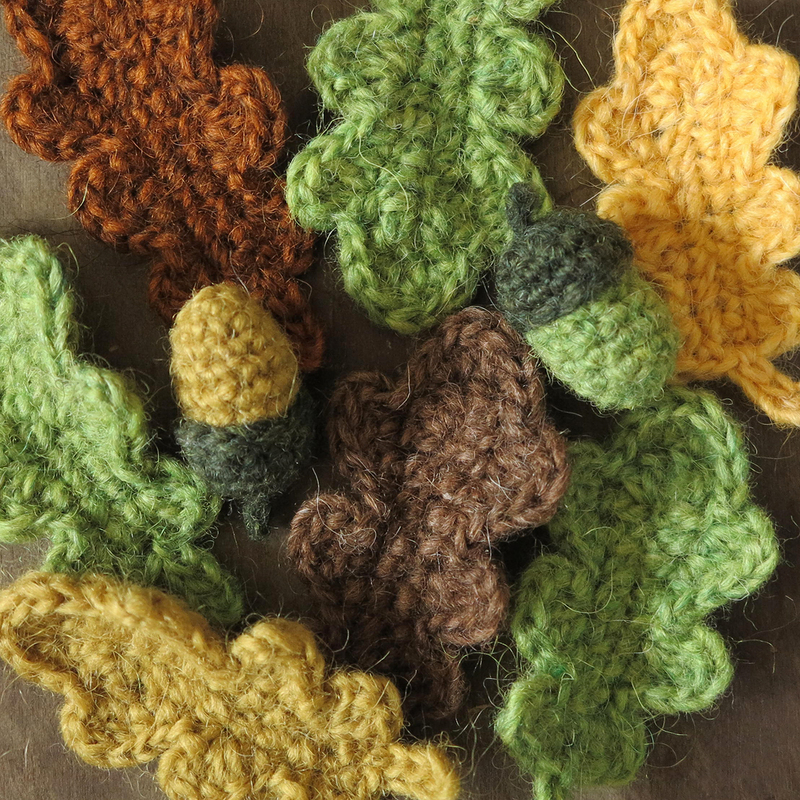 This joyful sight inspired me to make a simple free pattern for oak leaves and acorns. I love oak leaves, their shape is somehow cheerful. The curvy edges that vary in shape, sweetly rounded instead of pointed and often multi coloured by all the little invaders that live from them, make them a special natural beauty. The leaves you can crochet with this pattern are 9 cm / 3.5 inch long, when made with worsted weight yarn and hook 3.5 / E. You can make a leaf in 15 minutes. 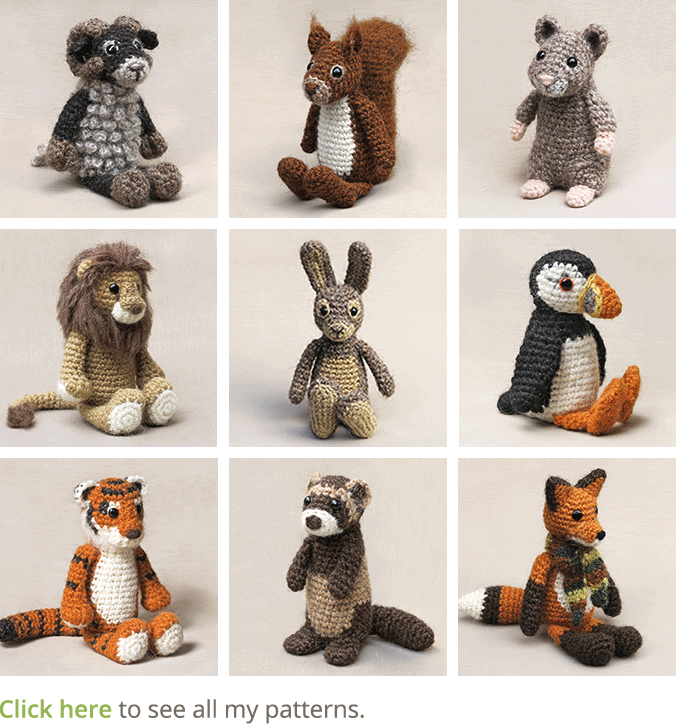 You’ll need worsted weight yarn in as much greens and autumn colours as you like and hook 3.5 / E. You’ll also need an embroidery needle to weave in the two yarn ends. 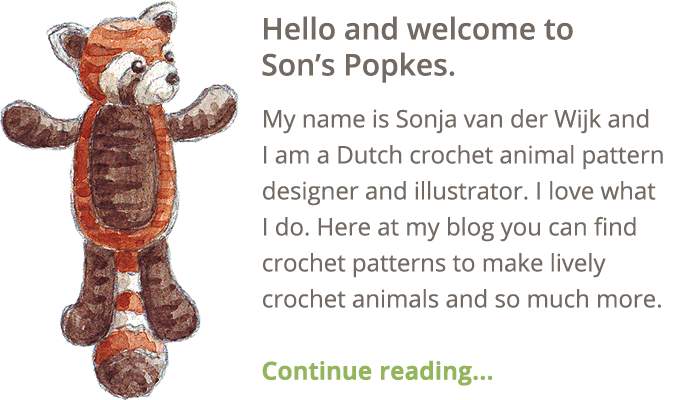 The yarn I’ve used for the leaves is Istex Lett Lopi. Always mark the 1st stitch of a round. Crochet around the chain to create an oval shape. If you did it correctly, you have 11 stitches at both sides, counting the marked ones as first. Now you are going to make the curved sides of the leaf. It’s done in one round all around, but I’ve written it down in steps. sl st in 1st, ch 4, in 2nd ch from hook sl st, sl st in next 2. Now you are back at the first st, do an extra sl st in that one and cut yarn. Weave in the yarn ends to finish your leaf. 8. s2tog x 4 = 4, sl st, sew hole closed and weave in end. 4. sc in each around = 12, close with sl st and weave yarn end to the top, so you can make a little loop (as stem), make sure your loop does not close and use the rest of the tail to sew the top to the bottom of the acorn. I needle felted the loop at the top so it forms a tight stem. 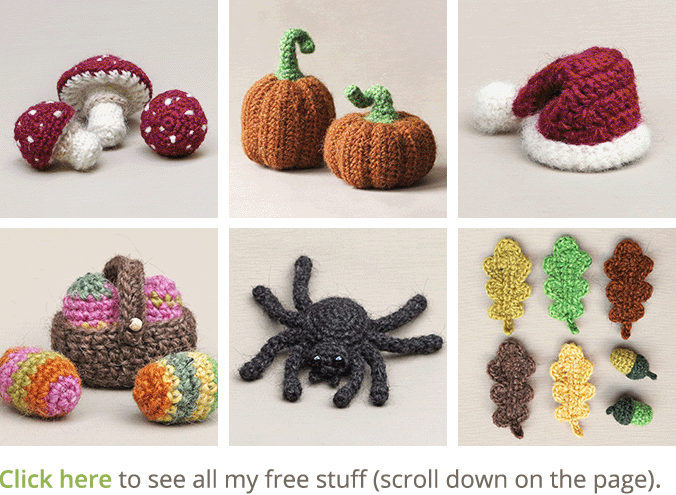 Thank you for the pattern, the leaves are great and the acorns are very cute!